The California Asphalt Pavement Association (CalAPA) is a non-profit trade association representing the asphalt pavement industry in California. CalAPA members include asphalt producers, refiners, suppliers, paving contractors, equipment manufacturers, testing labs, consultants and others who make up the industry in California. Click HERE to learn more. CalAPA conferences are only possible thanks to the generous support of our many sponsors and exhibitors. Click HERE to view a list of our 2018 Spring Conference sponsors. Click HERE to view a list of the 2018 Spring Conference Exhibitors. What will be covered? Best practices in Hot Mix Asphalt design; specifications; testing; paving; future trends; research projects & the status of evaluations. 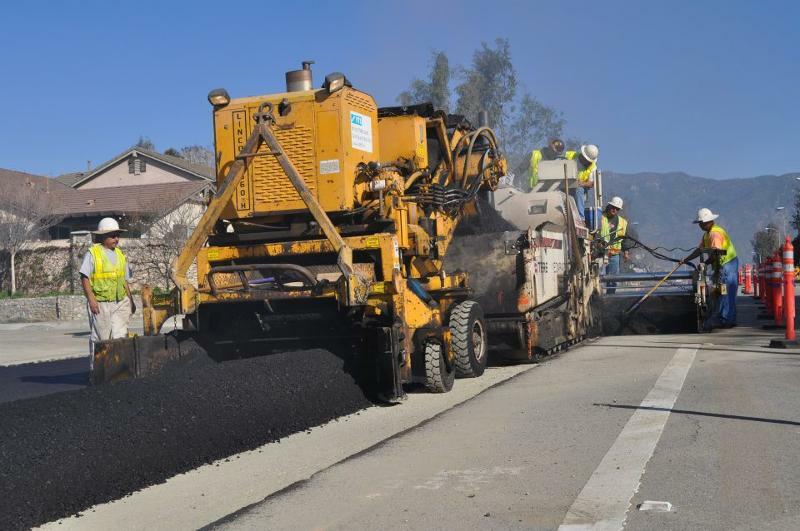 You'll also benefit from in-depth presentations about asphalt binders, Warm Mix Asphalt, how technology is impacting pavement smoothness, and specification changes being brought about in California as a result of the national "Superpave" initiative. With the passage of SB1, the 10-year, $52 billion Road Repair & Accountability Act of 2017 now being converted into projects, we'll have the latest information on how this will impact your business or agency. Updates on legislation and funding for road construction and maintenance on the local and statewide level also will be featured. View the agenda HERE. The speaker biographies are HERE. Who's on the agenda? Our keynote speaker will be new California Transportation Commission Chair Fran Inman, (pictured at left), who will provide the latest information on state funding for transportation, goods movement and other issues of interest to the road-building community. We'll also hear from a representative from the County of Los Angeles Department of Public Works discussing the county's massive measure program and what it means for pavements. A detailed agenda of speakers and topics is HERE. The speaker biographies are HERE. ASPHALT PAVEMENT 101: CalAPA has arranged to have one of our most popular instructors, former Caltrans materials engineer Roger Smith (pictured at right), teach his informative "Asphalt Pavement 101" class just prior to the start of the conference. This class will take place on Wednesday, April 25 from 8 a.m. to noon at the Doubletree Hotel in Ontario, site of the conference. This optional event is $129 for CalAPA members and agency personnel ($159 for non-members), and can be added on as an option during the Spring Conference registration process. For those attending both the conference and the training class, a special discounted rate is available. Food will be provided. This is a convenient and cost-effective way to access one of CalAPA's most popular training classes! How much does it cost? 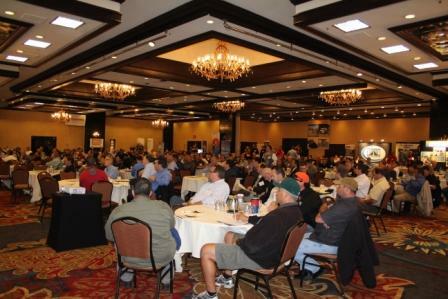 CalAPA conferences remain one of the great bargains in the industry. CalAPA members and public agency representatives who register by April 9 pay just $169, and non-members are just $209. There's ample free parking for attendees, and a complementary airport shuttle for hotel guests. There are numerous sponsorship and exhibitor opportunities, including reserving a coveted spot on the event's trade show floor. Contact Sophie You at CalAPA for details at (916) 791-5044. What about lodging? There are a limited number of rooms reserved at the Doubletree Hotel at a special discounted rate of $139 per night for conference attendees. Click HERE to go to a special Doubletree website to reserve your room, or contact the Doubletree directly at (800) 222-8733 . To reserve, please use the group name "2018 CalAPA Spring Conference" and group code "LAP" (3-letter code required for phone reservations). Mark your arrival date as "April 24, 2018" and departure date as "April 27, 2018". The discounted rooms go fast so early reservations are strongly recommended. Rooms must be booked no later than APRIL 4TH to receive this special conference rate.